bbut to one person you may be the world." Description ：101 Roses means "You are my one and only love." 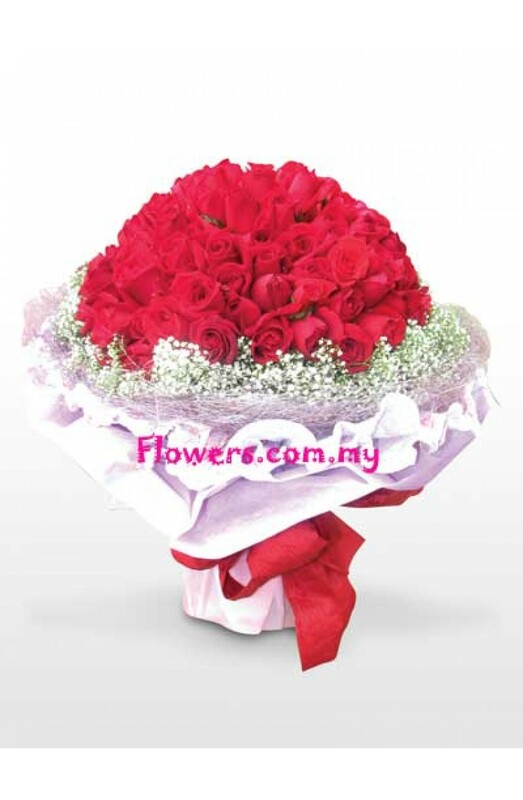 A big beautiful bouquet of just 101 red roses with fillers, foliages and ribbons. Everyone loves it . Remark ：Designs may vary for outstation orders.